Still, the frustrating boss fights and the mediocre plot are blemishes on what is, by and large, a much better game than I ever would have expected. When I reviewed Lords of the Fallen in 2014, I said it was "a surprising show of skill and hopefully a sign of much brighter things to come." By building on its more obvious inspirations with a more unique vision, Deck13 has fulfilled even more of that initial promise with The Surge. While it may not be entirely original, its fresh setting, smart level design, and limb-targeting mechanics manage to make authentically new ideas in a genre growing with imitators. Surge is far from perfect, but none of its problems are deal breakers. They're minor bumps that come from an otherwise inventive, exciting new entry in a packed sub-genre. It bucks the trend towards creative bankruptcy, adopting some fresh ideas and layering those together with aesthetics, tone, and play to create an inspired adventure. The Surge isn't the same as Dark Souls but comparison's inevitable. Like that cyborg whose torso I severed, it struggles to stand on its own. The Surge is great, and I say that with only a single qualifier - It’s standing in a genre built by games that did more than great. Which isn’t exactly fair to hold against this game, but if you’ve ended the age of fire, woke from the nightmare and torn through Japan, The Surge is going to scratch, if not satisfy that itch. If you like the Souls series or games like them, you will probably like The Surge. I can’t comment as to whether it offers a similar challenge or level of difficulty, but it has great gameplay and wonderful levels to get lost in as you run around throwing limbs about and destroying robots. It’s a satisfying playthrough and features a New Game+ option which I am very tempted to work my way through. 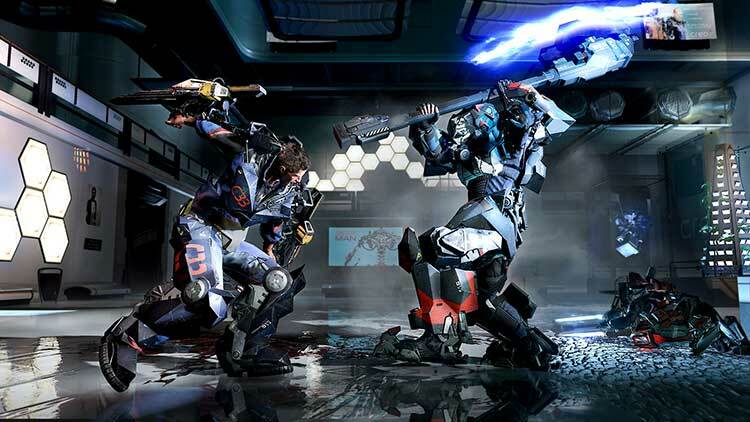 As you break into the second act of The Surge, the difficulty spikes but that’s expected. The first boss and the run up to it is just a taste of what’s to come. You have to learn new patterns, how to defeat new enemies, and that means you’re going to die some more. But the beauty of The Surge is that when you die you don’t ever feel like it’s the game being cheap on you. You know it’s something you did or didn’t do, and you’re eager to get back and try again. 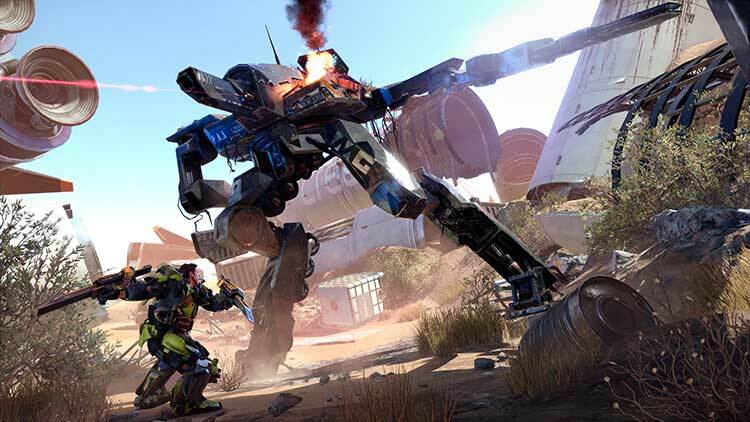 The Surge makes good use of its detailed sci-fi setting and provides an engaging experience throughout the 30 to 40-hour campaign, mostly thanks to its widely customizable inventory and wickedly fun combat system. It may struggle to keep the action moving and tell a strong story amid the chaos of battle, and its weapon progression plateaued early, but it offers some interesting ideas and delivers a solid new take on a familiar genre. hile it proudly wears its influences on its sleeve, this strictly single-player affair manages to break free from the shackles of being just another Souls-like video game. The body harvesting looting mechanic and chilling setting of a machine-dominated dystopian future help it to hold its own, and its relentless difficulty even rivals that of its greatest influence. The world itself is plain, unimaginative and uninteresting. The level design is cramped and maze-like. The enemies are mostly stock sci-fi robots which aren’t that fun to defeat. 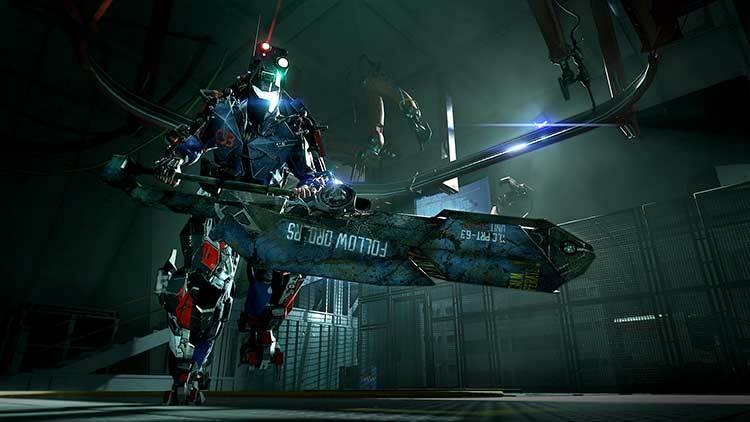 If you’re desperate for a new Souls-style game and like the idea of the sci-fi setting, set your expectations low and you could totally enjoy The Surge. Una buena aventura de acción y rol, desafiante, con combates emocionantes que sorprenden por su dureza. 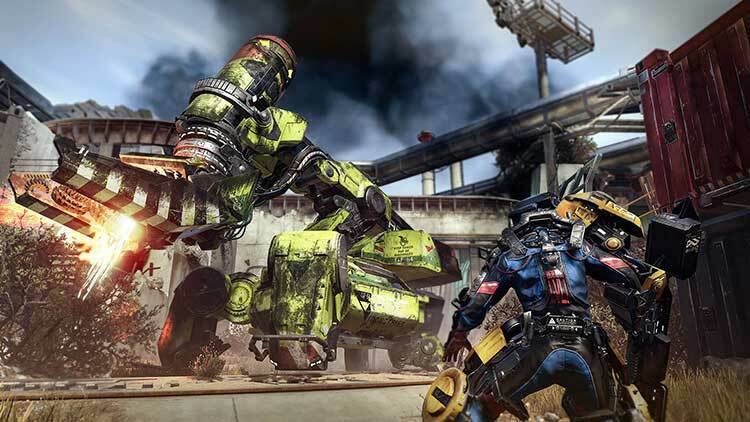 The Surge posee grandes virtudes que lo convierten en un videojuego recomendable. Es más que un simple clon de Dark Souls con ambientación futurista; es un título divertido que por difícil que ponga las cosas, siempre te motiva a seguir adelante, a probar suerte "una vez más", ¡hasta derrotar al enemigo! Al igual que Lords of the Fallen, The Surge es un juego nacido a la sombra de Dark Souls, pero tiene la suficiente confianza e ideas propias como para conseguir asomar su cabeza fuera de ella. Deck13 ha sabido tomar los ingredientes que necesitaba y a partir de ahí ha creado un producto nuevo, con menos aroma de copia y más de homenaje. Ich gebe zu: Allzu superschwer dürfen Spiele für meinen Geschmack nicht sein. Denn dann taugen sie nicht mehr als Feierabendunterhaltung, sondern arten in Arbeit aus. The Surge schafft es, genau an der Grenze zwischen Spaß und Frust zu bleiben und trifft deshalb genau meinen Geschmack. Sicher hilft auch das SciFi-Szenario, das liegt mir einfach mehr als die verschwurbelte Hintergrundgeschichte der Dark Souls-Reihe. Die Spielmechanik ist klasse, der Anspruch knackig, die Charakterentwicklung zumindest hinsichtlich der Kampfstile angenehm offen, aber die Spielwelt sowie das Questdesign konnten mich trotz lobenswerter Ansätze nicht fesseln. The Surge ist trotzdem ein richtig gutes Action-Rollenspiel, das hinsichtlich des Nahkampfes mit seinen Trefferzonen sowie der Beute innovative Zeichen setzen kann. The Surge est donc un bon RPG-Action et un vrai Dark Souls-like, il faut donc savoir apprécier le genre pour vraiment en tirer du plaisir. Peu respectueux de vos nerfs, le jeu n'est clairement pas fait pour la majorité des joueurs et son exigence se fait ressentir à chaque instant. Mort omniprésente, combats techniques, système punitif : bienvenue dans l'enfer où les machines sont reines. The Surge reprend peu ou prou le principe des Souls et l'adapte à un univers futuriste. Le résultat aurait pu être affreusement générique et sans âme mais, étonnamment, ce n'est pas du tout le cas. Le jeu de Deck13 Interactive possède une véritable personnalité et apporte son petit lot d'innovations au genre. Aussi exigeant que gratifiant et malgré un manque global de personnalité côté direction artistique, The Surge ne tombe pas dans le concept réchauffé et parvient à faire pencher la balance du côté de ses qualités évidentes plutôt que ces quelques lacunes. Pari réussi pour le studio allemand qui nous livre donc ici sa propre lecture du genre action-RPG hardocre. The Surge prouve une fois de plus qu’un premier essai manqué n’est pas une fatalité, bien au contraire. Corrigeant la plupart des erreurs de Lords of the Fallen, le nouveau titre de Deck13 ne tombe pas dans le piège du clonage mais réussit à s’émanciper sans renier la formule de son modèle. Le changement d’univers apporte un peu d’air frais au genre et les différentes idées du studio en matière de combat, d’artisanat et surtout de level design en font un titre bourré de qualités. Il risultato è che The Surge tiene sempre alta la tensione del giocatore, chiedendogli di non abbassare mai la guardia e ponendogli problemi ogni volta che incontra un nemico. Insomma, è sì un soulslike, ma riesce anche a essere qualcosa di diverso, che sarà gradito da chi cerca qualcosa di nuovo. 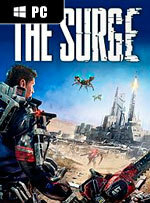 The Surge è un titolo che fa della struttura rodata del genere da cui attinge il suo punto di forza. La storia chiara lascia al giocatore la possibilità di inserirsi rapidamente nell’ambientazione distopica e stare al passo con gli avvenimenti, senza perdersi in ricerche e speculazioni eccessive. Il combat-system funziona alla grande, ma purtroppo la ripetitività del grinding, legato al crafting dei pezzi dell’esoscheletro, si fa sentire ben prima della fine dell’avventura, nonostante lasci comunque spazio alla prova di diverse combinazioni di equipaggiamenti. 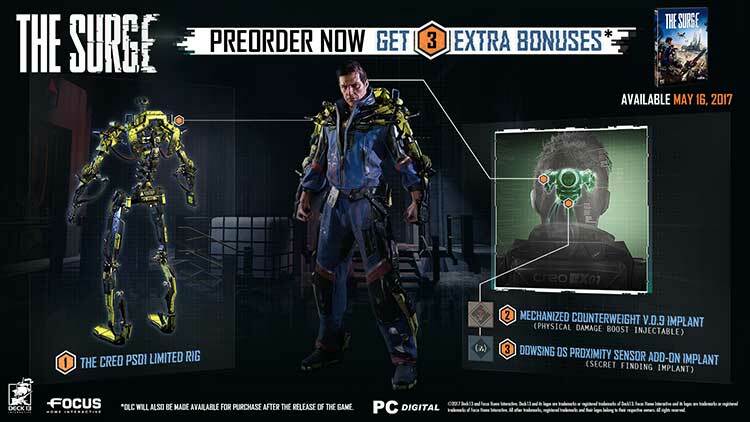 The Surge отлично выглядит (и работает – технически все просто идеально) и отлично играется – она легко может утянуть на 20-30 часов и ей есть что предложить, если вы решитесь на второй забег. Lords of the Fallen была не самой плохой игрой, но именно после The Surge я буду пристально следить за творчеством Deck 13. И вам советую. Uzun lafın kısası The Surge, Souls tarzı oyunları seven ancak farklı bir zaman dilimi veya tema görmek isteyen oyuncuların ilgisini çekebilecek bir yapım. Hikaye konusunda ise oldukça zayıf olan The Surge'den bir Dark Souls tarzı derinlik bekleyen oyuncular ise ciddi hayal kırıklığına uğrayabilir. Eğer bu tip bir oyun arayışında iseniz The Surge beklentilerinizi tam olarak karşılayamayacak olsa da sizi bir süre idare edebilir.